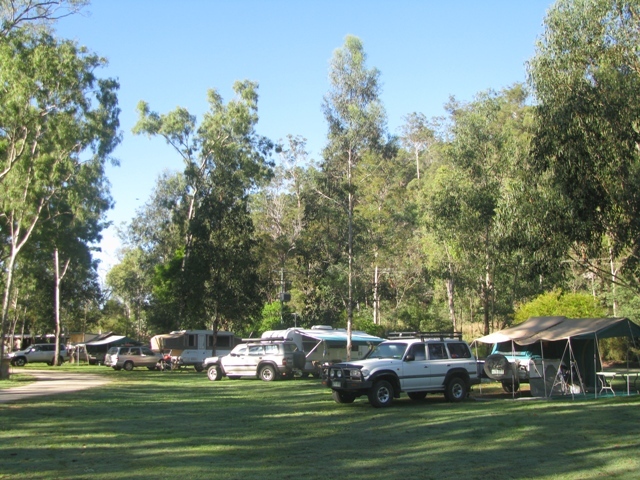 Cania Gorge Tourist Retreat offers well grassed, shady sites that are kept neat and tidy at all times. All our powered sites have their own water tap and sullage disposal and are very spacious (7 by 11 mtrs.). no discount applies on the weekly special; offer must be mentioned at arrival. • If cancelled more than 30 days prior to the arrival date, a credit of your deposit will be offered for a future booking (limited period only). • No refund of deposit if cancelled within 30 days of arrival date. • Full payment required if cancelled within 5 days of arrival date. "A place affording peace, quiet, privacy and security." It's OK to bring your pet(s)! Our park is bordering Cania Gorge National Park and all the walking tracks in the National Park are within walking distance from our park. They have the most stunning scenery like sandstone monoliths and weathered caves of vivid yellow and red ochres and some amazing flora such as king orchids and silver elkhorns as well as dry rainforest (unless wet).